Focusing on the third option, Ratcliffe explores ways in which the rhetorical theories of Virginia Woolf, Mary Daly, and Adrienne Rich may be extrapolated from their Anglo-American feminist texts through examination of the interrelationship between what these authors write and how they write. Although women and men have different relationships to language and to each other, traditional theories of rhetoric do not foreground such gender differences. 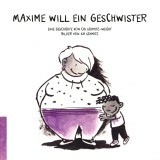 Krista Ratcliffe argues that because feminists generally have not conceptualized their language theories from the perspective of rhetoric and composition studies, rhetoric and composition scholars must construct feminist theories of rhetoric by employing a variety of interwoven strategies: recovering lost or marginalized texts; rereading traditional rhetoric texts; extrapolating rhetorical theories from such nonrhetoric texts as letters, diaries, essays, cookbooks, and other sources; and constructing their own theories of rhetoric. 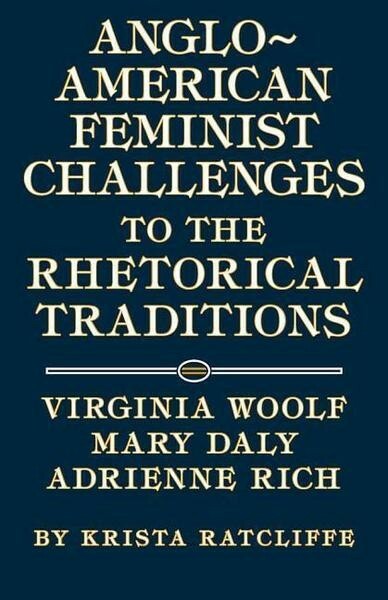 Focusing on the third option, Ratcliffe explores ways in which the rhetorical theories of Virginia Woolf, Mary Daly, and Adrienne Rich may be extrapolated from their Anglo-American feminist texts through examination of the interrelationship between what these authors write and how they write. In other words, she extrapolates feminist theories of rhetoric from interwoven claims and textual strategies. 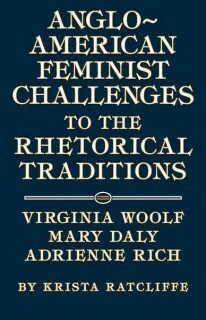 By inviting Woolf, Daly, and Rich into the rhetorical traditions and by modeling the extrapolation strategy/methodology on their writings, Ratcliffe shows how feminist texts about women, language, and culture may be reread from the vantage point of rhetoric to construct feminist theories of rhetoric. 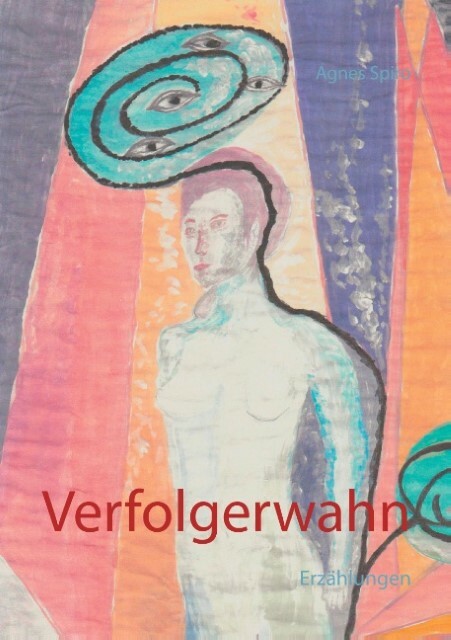 She also outlines the pedagogical implications of these three feminist theories of rhetoric, thus contributing to ongoing discussions of feminist pedagogies. Traditional rhetorical theories are gender-blind, ignoring the reality that women and men occupy different cultural spaces and that these spaces are further complicated by race and class, Ratcliffe explains. Arguing that issues such as who can talk, where one can talk, and how one can talk emerge in daily life but are often disregarded in rhetorical theories, Ratcliffe rereads Roland Barthes "The Old Rhetoric" to show the limitations of classical rhetorical theories for women and feminists. Discovering spaces for feminist theories of rhetoric in the rhetorical traditions, Ratcliffe invites readers not only to question how women have been located as a part of and apart from these traditions but also to explore the implications for rhetorical history, theory, and pedagogy.